Oh ya! The effort being put in, will be reflected in it's outcome. With all this extra scale work you're doing to this truck, its certainly not going to lessen it any being a lexan outer shell. Its cool you're changing the year with the grill work too. Someone should make aftermarket grills for this body. 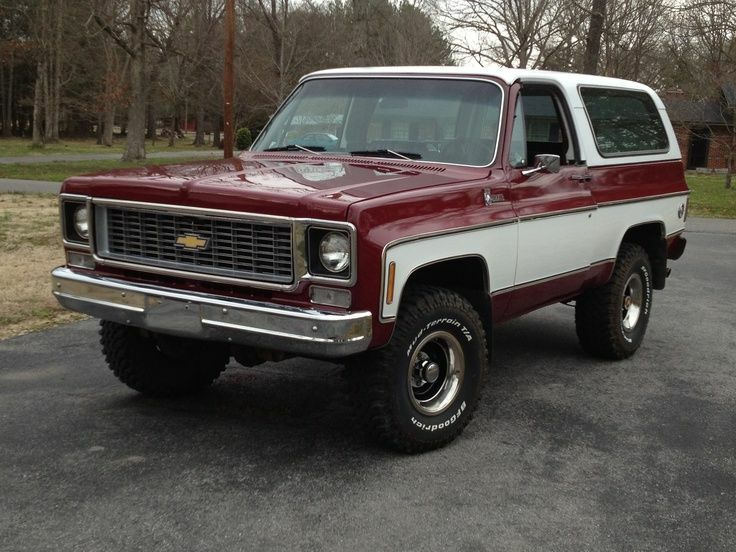 With this body style of Blazer, my fav is the 73. Thanks guys!! I'm really stretching myself out with this thing for sure, but it's coming along! I'm pleased! .....Someone should make aftermarket grills for this body. Thanks, Rick! That's a swell picture for sure! I really like those. Your idea is a fantastic one, that... has been though of already... So we'll wait and see whatever that means! hahha! That´s an outstanding piece of work you are showing on this rig! Like it a lot. I already would have bought one of them, if there was anyone making a hard body of it. Love the M1009´s! So.. 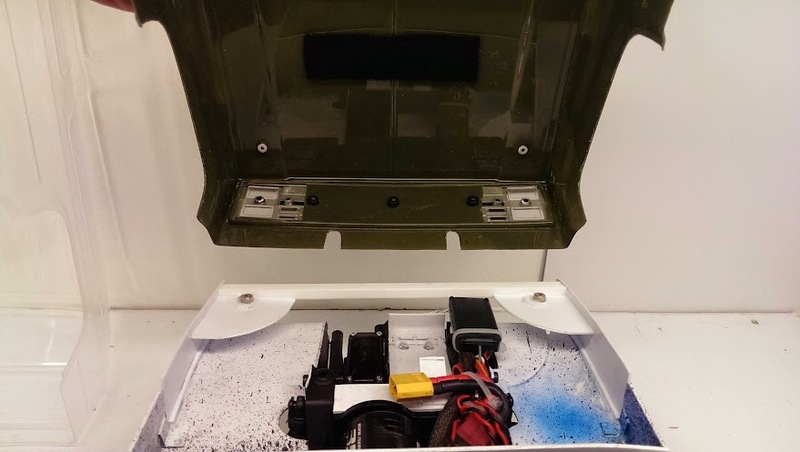 I made up some non-scale features under the hood that actually have function to keep stuff together. I think I can take a few MAJOR tumbles with this before something breaks HAAHA! First off was a bar for the top of the rad support, hood supports. I used a rectangle piece to go across behind the top of the rad and give support to both of the fender extension parts. On those, I used a 1inch rad gusset to brace them square to the fender extensions, and on THAT part, I mounted the hood magnet. I LOVE MAGNETS! Gone are the velcro days forever. I first layered the hood side magnet, then tape, then the truck side magnet into a sandwich. I scooched them around the hood until they were centered nicely on the gusset and on the hood, and then glued the magnet to the lexan hood with a bit of CA glue. After it was really well dried (overnight) then I shoe-goo'd the bottom magnet all over the place (still stuck to the hood) and then put the body on the truck frame, and let that sit over night also. 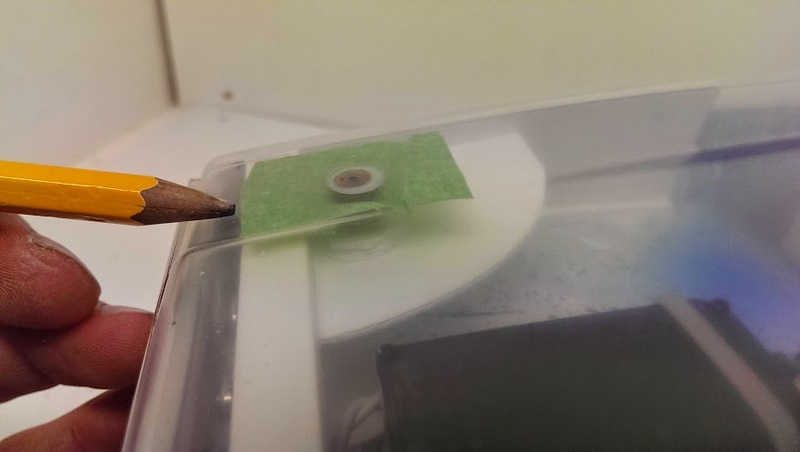 The tape guarantees the magnets don't get glued together. So, now my truck looks like this with the civilian body on it, and you can see some of the engine bay support stuff there, and the rad support bar. 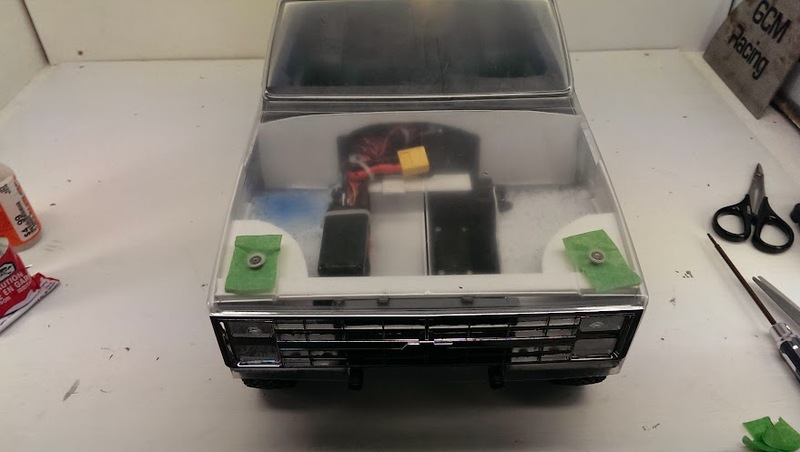 Now that the magnets are glued to the civilian body, and the Truck framing, I repeated the same trick with the tape, and magnet sandwich to get the magnets onto the MIL body also, only this time the sandwich was on the truck first, and the body glue last. Now I have one magnet on the frame each side, and both bodies click on like nothing, and really really CLICK strong! Yay!! 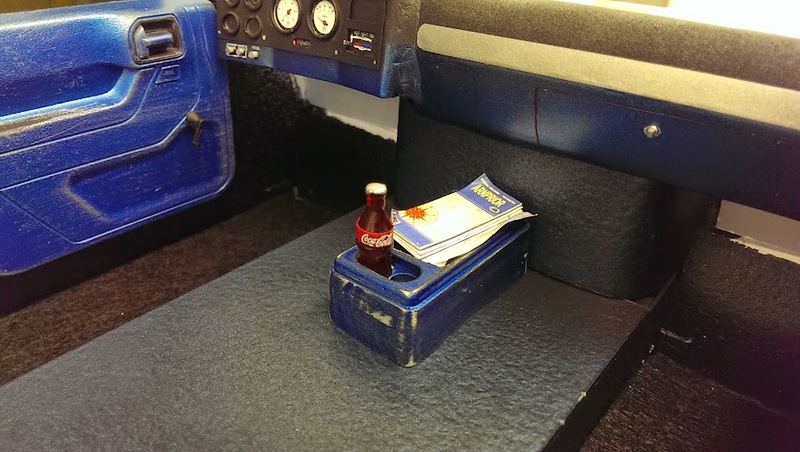 In the mean time, I got the center console in, and added the map of Arnprior (of course) and something to rot your stomach-I mean Coke. Of course, it's on magnets also. HAHA! And while I was doing that, the seats came in! Yeah! These are printed by JC Custom Works by Jerry. They are hollow, and strong, and come pre-primed. I'm doing cloth seat covers, so it's a perfect match! Yeah! They are a true 1:9 scale like the truck, and it's a great fit. Thanks so much to Jerry for making these up! Those are some great looking seats! And I recognize that centre console from another model of Jeep. There sure is a lot of Jeep in each GM vehicle these days. WOW this is probably the best vaterra K5 build I have seen so far. 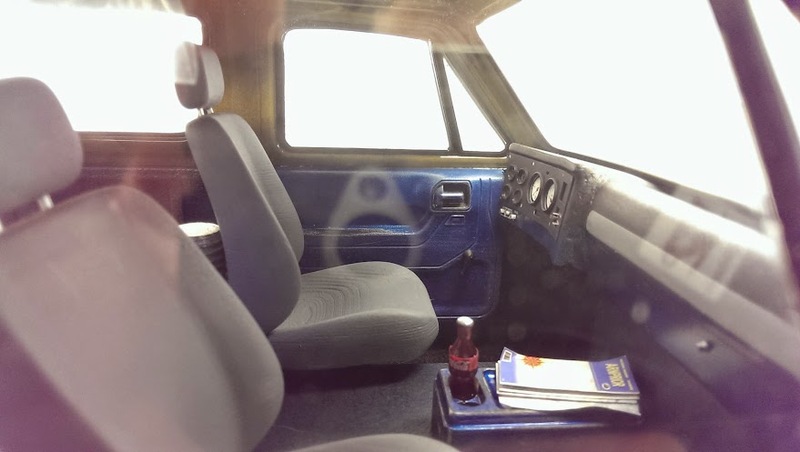 I love the interior work, dash and door panels are sweet. Do you have a link for the seats? Love the idea for the earth magnet on the scale accessories, going to be using that for sure.